YouTube the Largest online video streaming website resently change the look of their website including their logo. 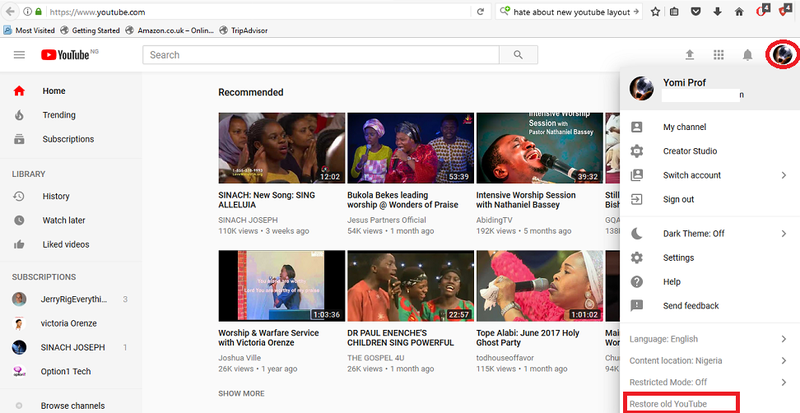 If you are a YouTuber,you will have seen this new layout few months ago when it was still in the beta but now it was rolled out to the public August 29th 2017, and lots of people are not happy about it. Lot of things was changed and relocated. The new outlook is unpleasing to eyes, confusing to the soul and absolutely disliked by majority. 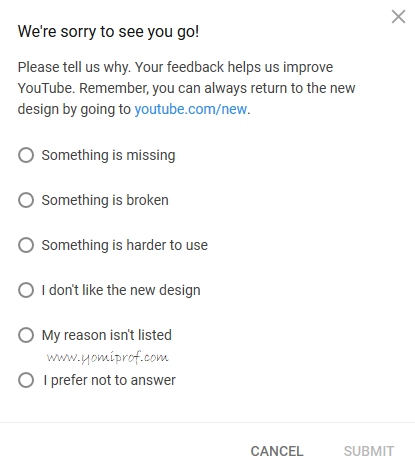 What ever your reasons are, the good news is that you can always go back and use the old Youtube layout, but the bad news is, we don’t know how long this revert option will be available. #2. Click on your user icon in the top right corner. #3. Click on “Restore old YouTube”. #4. Provide a reason why you’re going back. That's All, YouTube will revert back to old layout. 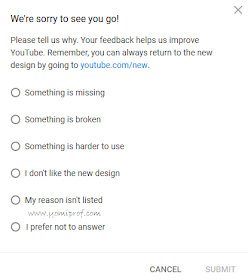 But if you still feel you want to go back to the new layout, simply go to youtube.com/new and you'll start using the new Layout. So what's do you think about this.